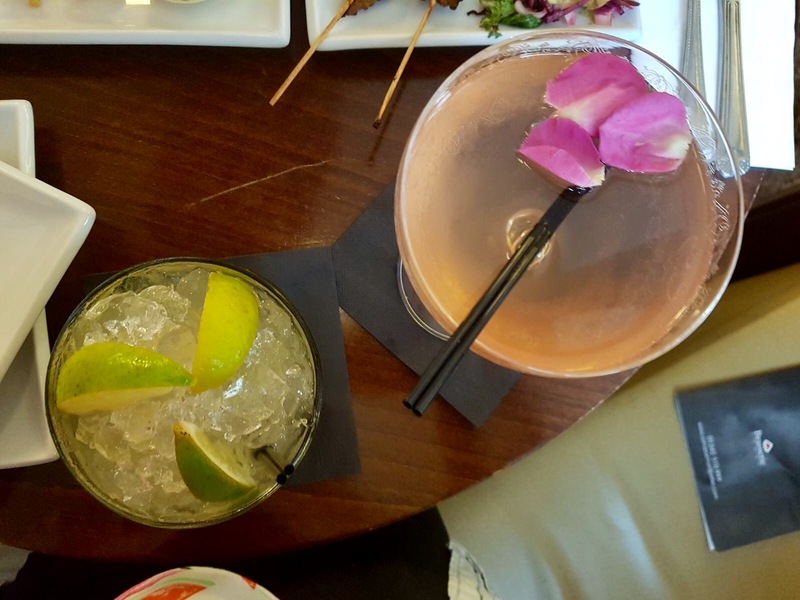 A few weeks ago, I was invited to visit Soho Bar & Eatery in Cheltenham, a cocktail lover’s haven located in Montpellier, to sample a selection of their cocktails and nibbles. I am a real cocktail lover. Wherever I go, I order cocktails. Why? Because I don’t actually like the taste of wine or spirits on their own all that much, so cocktails are my go-to. 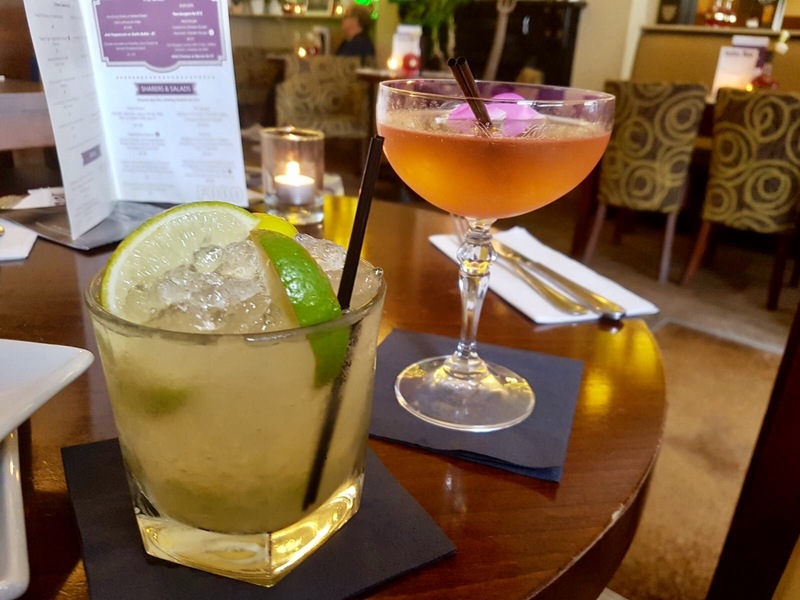 As someone with a love of cocktails, I knew that while I was in Cheltenham I wanted to test out some of the town’s best cocktails, which is why I was so pleased when Ali, the owner of Soho Bar & Eatery, invited the fiance and I along to sample his delicious cocktails and nibbles. Situated in Montpellier in the upper-class end of the lively student town of Cheltenham, Soho Bar & Eatery specialises in champagne and cocktails, as well as offering a food menu that boasts a selection delicious delicacies from around the world, including Greek, Indian, and British cuisine. When we arrived at Soho Bar & Eatery, I instantly fell in love with the design and decor of the place. It’s luxe, sophisticated vibe made it somewhere that it was easy to relax and unwind at. We were welcomed and shown to our seats by the lovely Alyssa, one of the bar’s best cocktail makers. We started out by having a browse of the cocktail menu, which was made up of an impressive selection of long drinks and shorts. 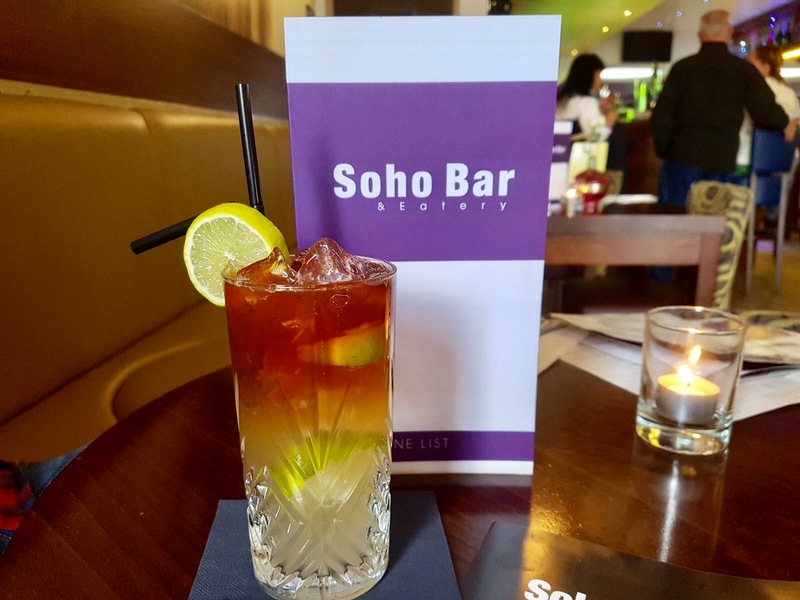 We were told that as well as the wide array of cocktails on the menu, we could order any other combinations – the menu at Soho Bar & Eatery simply showcases the most popular options, with the team happy to create any cocktail. I was unsure of what cocktail to start with, so Alyssa suggested that as I like sweet, fruity flavours, the Red Riding Hood would be a good option for me. Made up of Russian Standard Vodka combined with cherry, blueberry, strawberry, cranberry, and blackcurrant liqueurs, juices and presses, the Red Riding Hood tasted deliciously like Ribena but with a fresh twist to it. It was deliciously fruity and sweet, with the vodka cleverly hidden by the combination of different fruity flavours. The fiance chose to begin with the Dark & Stormy cocktail, made up of a combination of Captain Morgan’s Spiced Rum, lime, Angostura Bitters, and ginger beer. When you first take a sip of this concoction, all you taste is ginger beer and a little lime, followed by a smack of spiced rum. 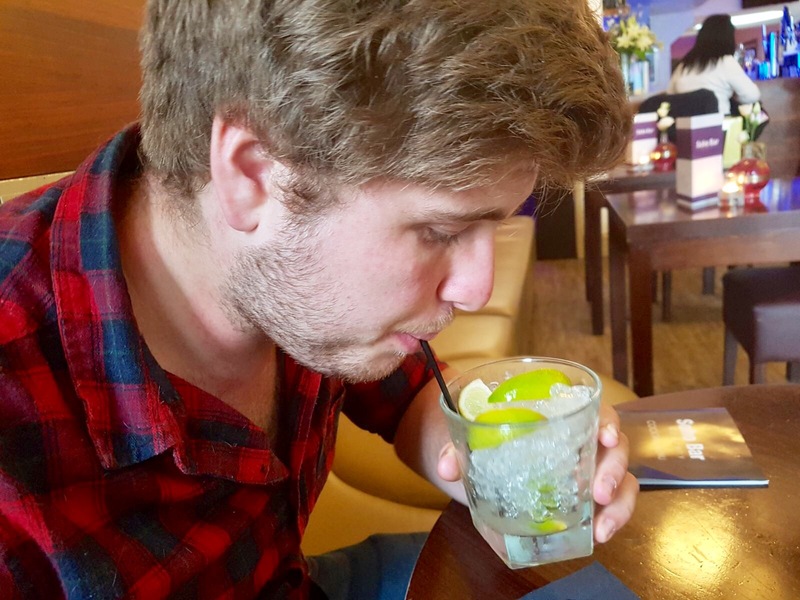 The fiance was a real fan of this cocktail as he loves spiced rum and ginger beer, but for me it was a little too strong. Before ordering our next cocktails, we opted to order some food. 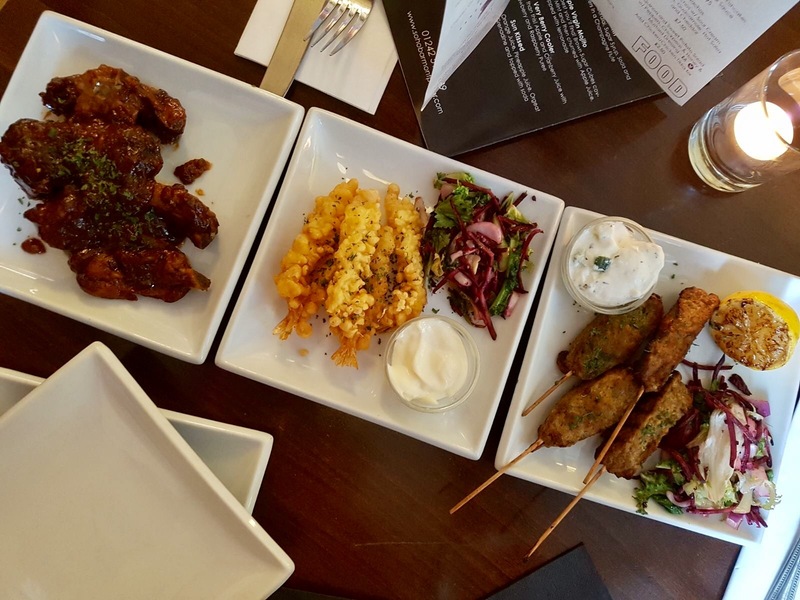 We decided to try the Tempura Prawns with garlic mayonnaise, the American Style Sticky BBQ Ribs, and the Minted Lamb Kofta with Tzatziki. The prawns tasted wonderfully fresh and moist, the koftas were packed full of flavour, and the BBQ chicken wings were wonderfully indulgent. 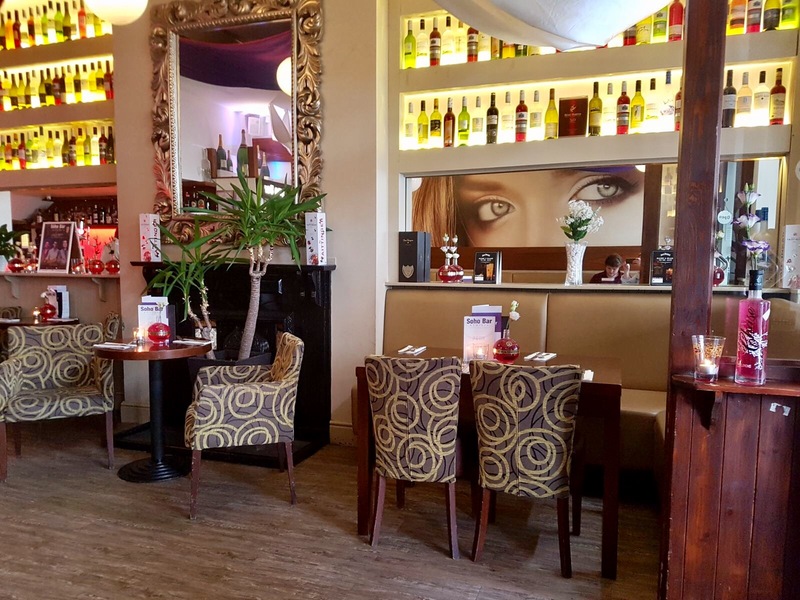 The menu was packed full of different dishes, from starters and small plates to mains and sharers – there was just so much to choose from, we were spoilt for choice. Once we’d finished our food, I opted to try the Lady Rose, a cocktail that was described as being sweet, fruity and refreshing. 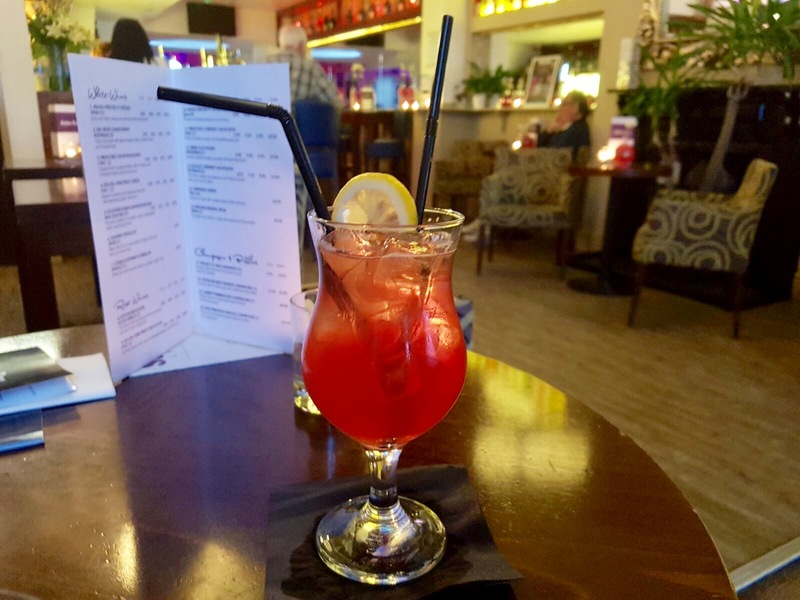 Made up of a combination of Rose wine, Greenall’s Gin, Raspberry and Elderflower Liqueur, and apple juice, the Lady Rose didn’t disappoint – it was incredible. Served in a beautifully patterned glass with rose petals sprinkled on it, the Lady Rose was one of my absolute favourite cocktails. When first taking a sip you are hit with the taste of rose wine followed by elderflower and a subtle hint of raspberry. This cocktail is sweet, fruity, and wonderfully elegant. While I happily sipped my Lady Rose cocktail, the fiance opted to try the Caipirinha, the national cocktail of Brazil. Made up of a combination of Cachaca, lime and brown sugar, this cocktail is seriously strong – you can taste the Cachaca, but it’s followed by a zesty hit of lime. Before ordering our next cocktails, we were treated to a tour of Soho Bar & Eatery’s incredible champagne bar. 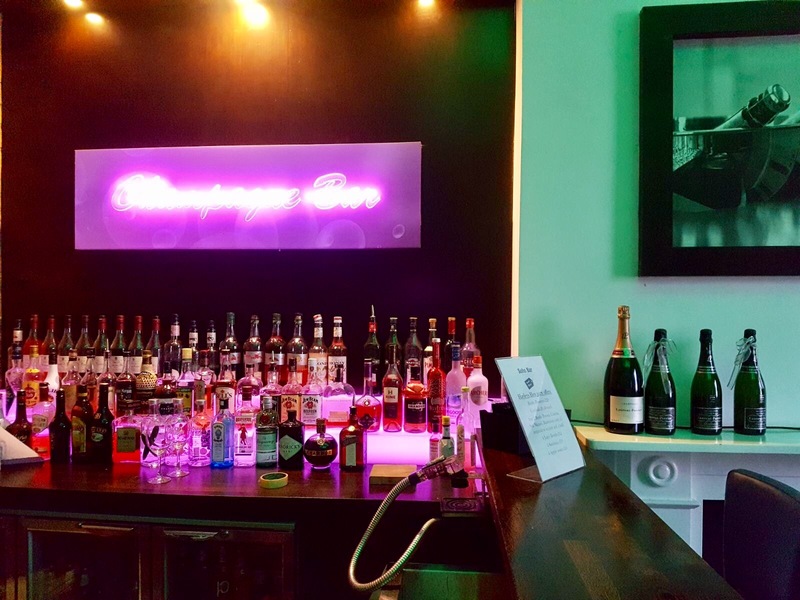 With its own private bar and cloakrooms, the champagne bar is the ideal location for celebrating any occasion, from a birthday to a hen do. It’s beautifully decorated and perfectly sized for a small gathering of up to 50 people. Soho Bar & Eatery also run cocktail master classes from the champagne bar, complete with demonstrations, tasters, and the chance to make a selection of your favourite cocktails yourself. These classes sound amazing – I know what I will be doing the next time I’m in Cheltenham with the girls! Next, I chose the Disaronno Sourz. I am a real fan of Disaronno, so I couldn’t wait to try this cocktail. 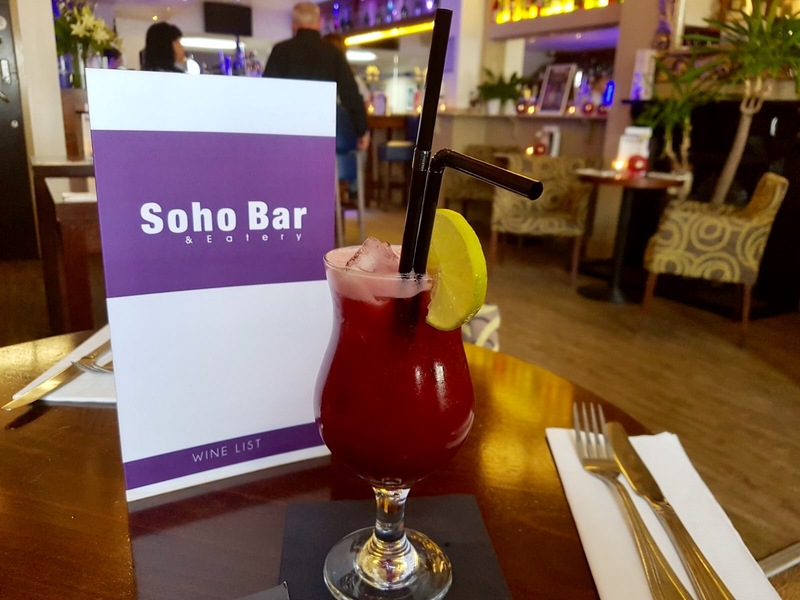 Soho Bar & Eatery offer ‘any flavour that you can think of’ as a sourz drink, from Disaronno to Parma Violet or Melon Sourz. A combination of Disaronno, orange juice and zest, and egg white, the Soho Bar Disaronno Sourz was incredible. The first taste I got was amaretto, followed by a zesty hit of orange; this cocktail is wonderfully sweet followed by a sour aftertaste, and it is delicious. The fiance chose a Melon Daiquiri as his next cocktail. 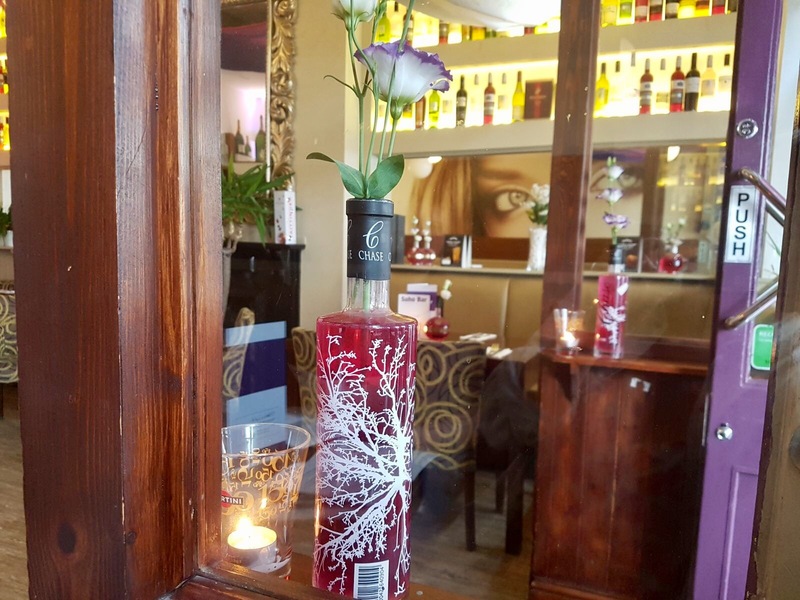 Just like with the sourz cocktails, Soho Bar & Eatery is able to offer an array of daiquiri flavours, from passion fruit and raspberry to melon and elderflower. 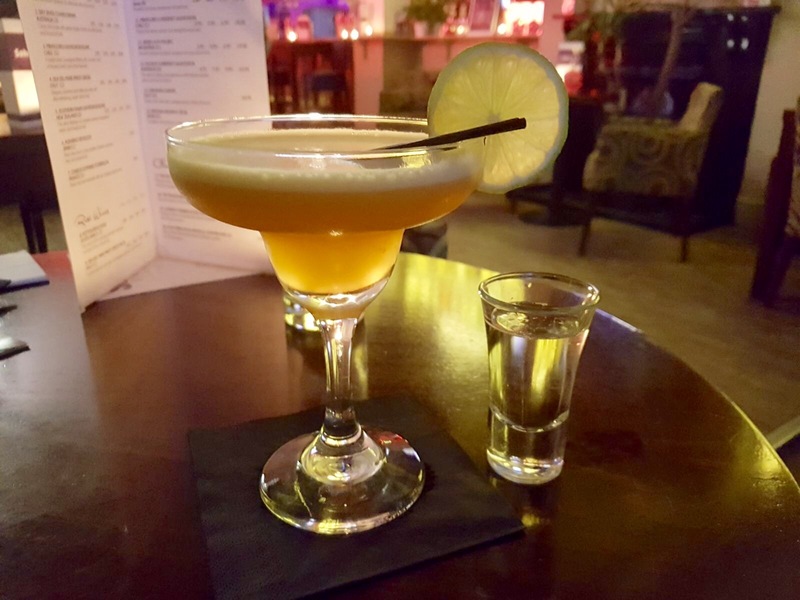 Made up of a combination of Bacardi Rum, lime juice, and sugar, as well as a flavoured liqueur of your choice, the Soho daiquiris are impressive. Topped with a fruity melon slice, the Melon Daiquiri smells and tastes incredible – it is sweet and fruity with the rum really packing a punch. This was one of the fiance’s favourite cocktails, and now I come to think about it, one of mine too. While I was still sipping my Disaronno Sourz, the fiance ordered the Soho Collins, a cocktail made up of gin, lemon juice, Manzana Verde (green apple liqueur), cranberry juice, and cherry liqueur. The first flavour you taste is a kick of apple – think green, Granny Smith apple – followed by cherry and a hint of gin. This cocktail is the perfect combination of sweet and sour. We were just about to head off, feeling ever-so-slightly tipsy, Ali suggested that we try one of Soho Bar & Eatery’s signature cocktails, the Pornstar Martini. Made up of a combination of Russian Standard Vodka, passion fruit liqueur, vanilla vodka, and lime juice, and served with a shot or prosecco to the side, we both agreed that this was our favourite cocktail of the night. At first, you get a hit of passion fruit followed by vanilla. It’s fruity and wonderfully punchy. Taking a sip of prosecco after each taste of the cocktail clears your palate, ready for the next taste. 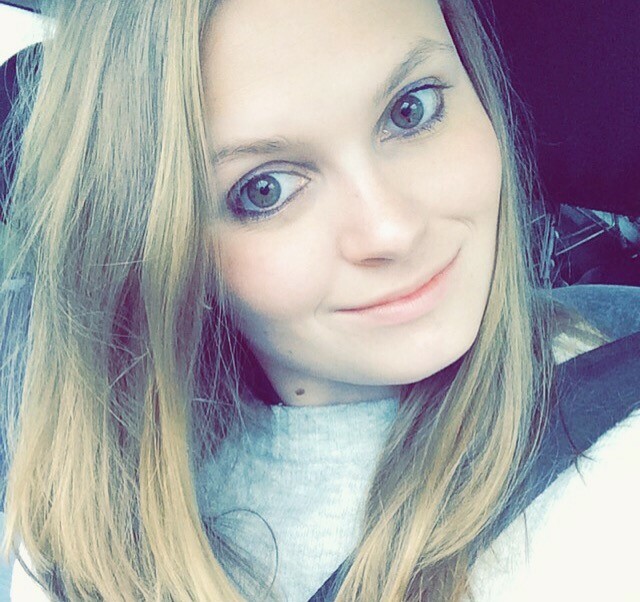 The fiance and I fell in love with the Soho Bar & Eatery and its incredible cocktail menu. The staff are wonderfully friendly and accommodating. The venue is smart, stylish, and luxurious. The food is delicious, and the cocktails are to die for. 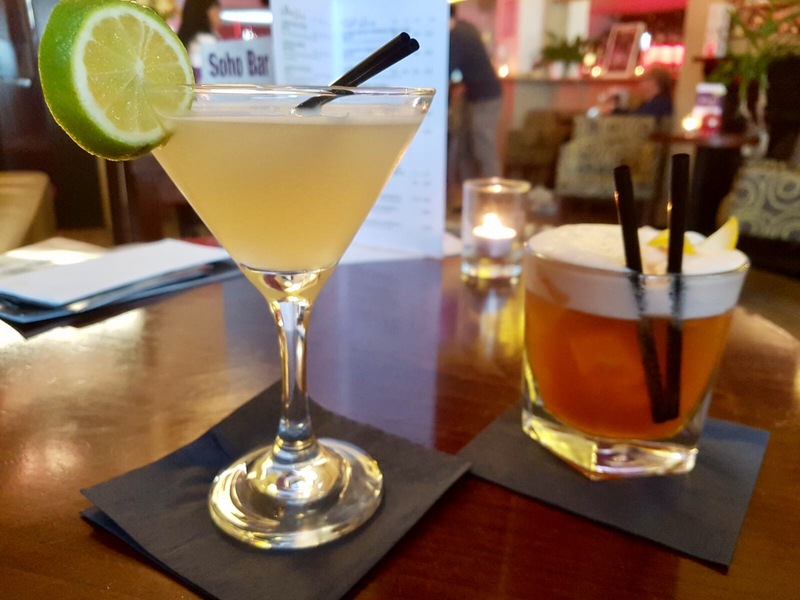 If there is anywhere in Cheltenham that serves a fantastic selection of well made cocktails, it’s the Soho Bar & Eatery.